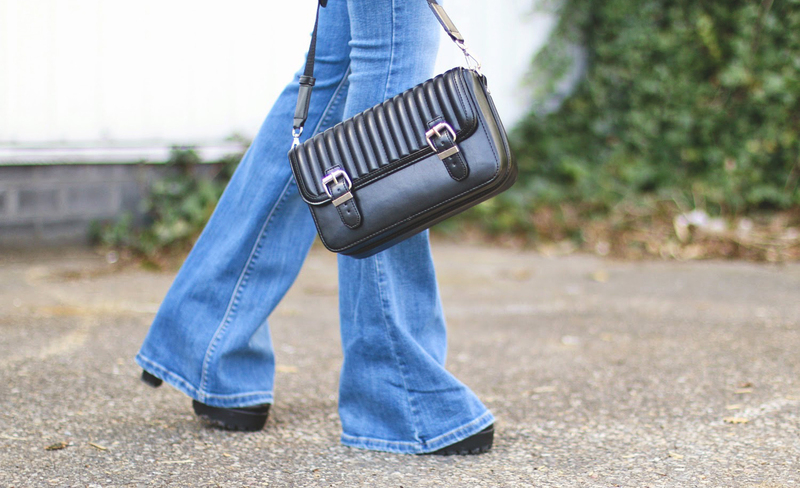 A flared jeans is probably a trend the most men don't like and most women do. Same like high waisted jeans haha. I'm one of those who love the trend! This one you see is from last year by Zara. I do have to say when I where a flared denim jeans, you do feel 'bigger' then when you wear a skinny jeans. And you always need to wear heels under it otherwise the most flared jeans are just too long. 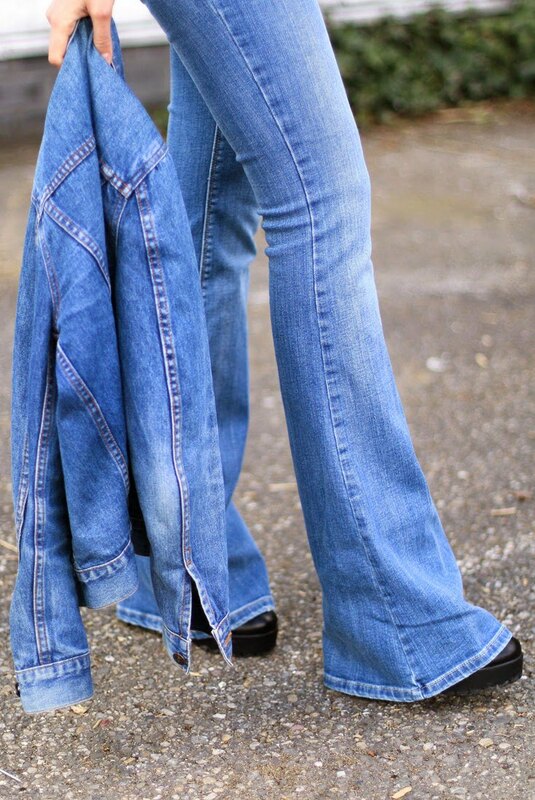 I think I prefer a black flared jeans, but still a denim flare is a musthave, great to combine with a white tee in summer. 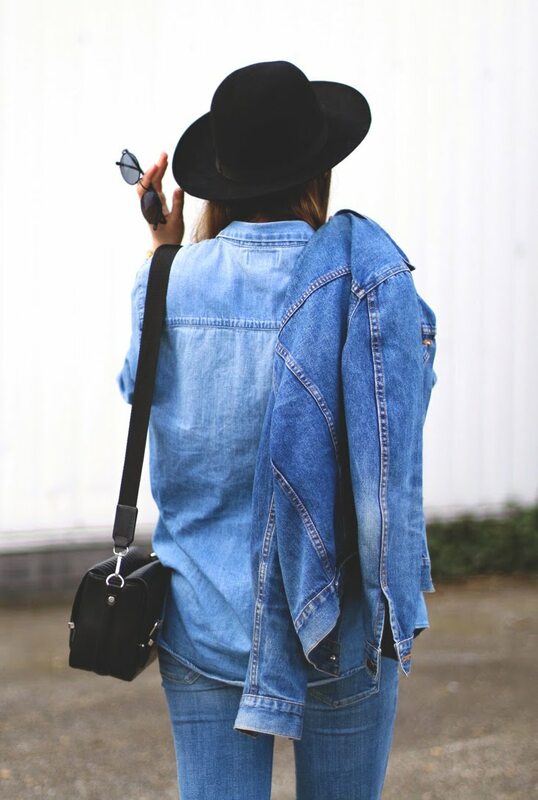 Heel leuk, die kleuren denim matchen perfect!